We also service and repair antique and modern barograph clocks. 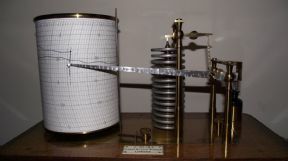 We have many spare parts for all types of barograph clocks. All you need to do is take the clock drum off your instrument (keep lid and the chart clip if fitted) pack the drum in a strong box and post to us by Special delivery.